We know how students (and parents) feel about math. 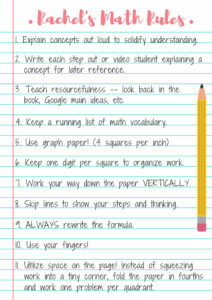 We get it and there are also some real reasons why students dislike math. 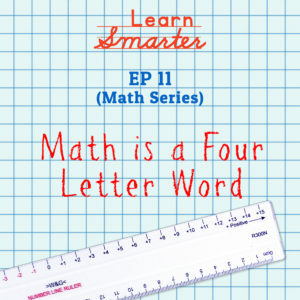 This episode is full of simple and easy to implement suggestions about how to make math more manageable. Rachel gives away a ton of her math secrets. Don’t forget to visit our website www.learnsmarterpodcast.com for the freebie that lists all the suggestions and tips from this episode!